The agricultural industry is diverse, dynamic and rewarding and offers a wide variety of career opportunities. Whether you are practical, hardworking and like the outdoors or have an interest in leading the way in science and technology, a career in agriculture could be for you. 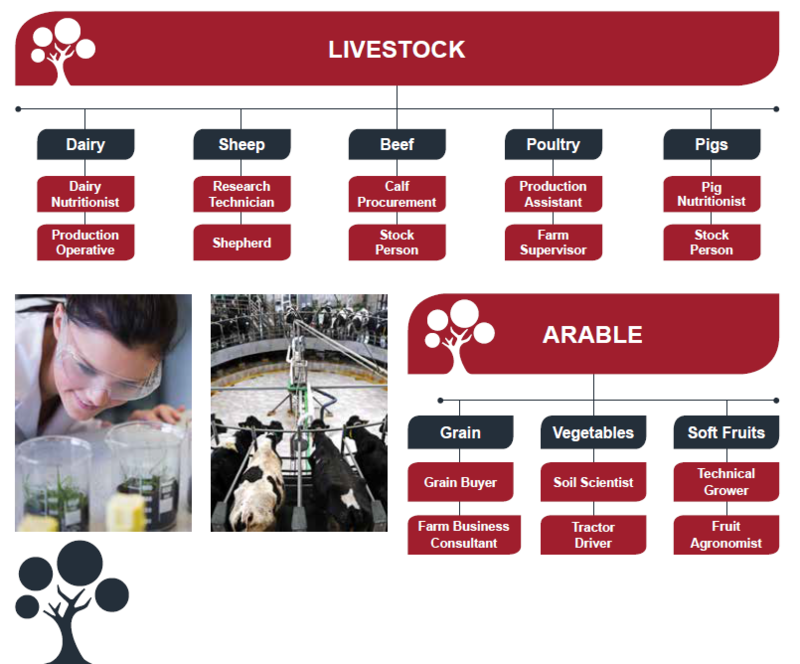 There is a huge demand for new entrants into agriculture, and there are many different pathways into the industry. Perhaps you have a head for science and new technologies, or you prefer being hands-on with livestock. You might also have great communication and marketing skills. There are career opportunities available in the public and private sector, so see the examples of jobs below for inspiration. Scottish Association of Young Farmers Clubs have produced some great videos about people with the following jobs: agronomist, beef farmer, dairy farmer, dairy engineer, land agent, nutritionist, pig farmer, poultry farmer, shepherd, solicitor, tractor driver. Andrew did an SVQ Level 3 Mixed Farming in Agriculture at Borders College. Sion completed an honours degree in agriculture and is now farm manager at Bowhill Estate near Selkirk. Claire did an honours degree in agriculture and is now a farmer on Mull. Modern Apprentice Erica loves that no two days are the same in her job.